Discover your new dream home or condo in the community you love. What's your home really worth? 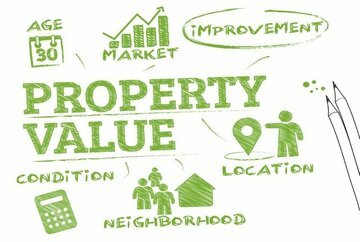 Find out your property's true value in today's market. Enjoy our advanced tools & responsive design. Search all MLS listings from any online device! What's the Best Way to Find Your Next Madison Home? The way people search for real estate has dramatically changed. Today over 90% of all consumers begin their home search online where there's a wealth of information available about the market and every property listing. We want to be your local resource for Madison WI real estate and have designed this website using the latest responsive technology so that all MLS listings and site content display seamlessly from any online device. We invite you to continuing reading about us or click below to begin your search. We look forward to introducing you to the market and the many services we have to offer! Welcome to LakeandCityHomes.com! Consider us your “one-stop-shop” for locating Madison Wisconsin real estate and Homes That Fit Your Lifestyle!®. Access the latest online search tools and local information for evaluating homes and condos for sale in Madison, the Greater Madison Metropolitan Area, as well as cities, towns, and villages sprinkled throughout Dane County and South Central Wisconsin. If you’ve ever browsed real estate for sale online, you probably know all too well that not all websites are created equal. Some websites are little more than “brochure-ware”. Some occasionally provide inaccurate info (e.g. Zillow and Trulia don’t have a direct feed to the MLS and have been known to republish user-contributed data with errors). Others are so poorly designed you’d be hard-pressed to find your way out of their labyrinth-like structures. Suffice it to say that most real estate websites leave a lot to be desired. As the flagship web property of Lake & City Homes Realty, LakeandCityHomes.com is different. Very different. We believe in providing the most advanced and enjoyable online real estate search possible. So we've invested a lot of time (and money) in creating a suite of tools for pinpointing Madison area real estate for sale. We've even got tools for making the right properties find you! We hope you enjoy your experience here and that you visit us again and again! In this latest edition of our site we’ve not only compiled a wide array of search tools, we’ve organized shortcuts to many of our most popular searches and lifestyle categories. You can access these directly through our menu options, as well as through our sidebar navigation. Whether you're looking for downtown condos, a lakefront penthouse, a luxury home with acreage, a new construction home with the latest bells and whistles, or a vintage home in a "walkable" Madison neighborhood, this site is designed to make it easy to find what you’re looking for. Want to check out listings for a particular lake or lifestyle? Select the “Search” or “Neighborhoods” drop-down menus from the top of any page and make your selection. But that's not all! Our new lifestyle search engine and tags make refining your search criteria much easier than before. Now you can see what search criteria were used and delete criteria you don't want with one click of your mouse. Getting too few results? Relax your search parameters by clicking on the "Close" box of any search tag to eliminate that criteria. Getting too many results? Narrow your search by clicking on “More Options” and adding more search criteria. Be sure to click on the magnifying glass to update your search results. Want to save a search? No problem. Click the magnifying glass with the heart and give your search a name. Voila! Finding your dream home just got a whole lot easier. New listings matching your criteria will now be emailed to you automatically. Choose the frequency that suits you best: we've got real-time, daily, weekly and monthly alerts depending on your timeframe for buying. Whether you're in the market for a primary residence, a retirement home or a weekend getaway, you'll find a wide variety of housing choices scattered throughout Dane County that caters to even the most discriminating buyers. Use the shortcut searches found in our main menu to explore homes by city, neighborhood, or by the most popular and requested lifestyle choices that we get time and time again. We promise you'll be spoiled for choice! For step-by-step instructions or to view the complete list of search tools, browse our Guide to Searching. Lake & City Homes Realty is a full service boutique real estate brokerage serving the Greater Madison Metropolitan Area with a focus on Madison, Middleton, Verona, Fitchburg, Monona, Sun Prairie, Waunakee and most Dane County communities located in South Central Wisconsin. We are located in Wisconsin’s beautiful capital city, Madison, and are dedicated to providing first-rate real estate services. Our full-time agents are friendly, accessible and knowledgeable. Above all, they love what they do and it shows! Lake & City Homes specializes in lake, luxury and historic homes, as well as condos and income property, especially on the Madison isthmus. If you don't see the type of home or condo that fits your lifestyle, call or get in touch anytime. 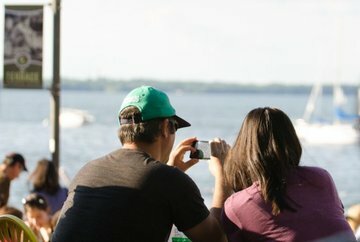 Let us help you discover the Madison area's most exciting neighborhoods! Speaking of neighborhoods, "The City of Four Lakes" has long been synonymous with quality of life. Together with its natural beauty, top-rated schools, abundant cultural activities & diverse array of neighborhoods, the Madison Metropolitan Area is more than a place to call home…it's a lifestyle! From our bustling downtown to our historic neighborhoods, to our modern new construction communities, the wide variety of architectures and lifestyles available throughout the Madison area is impressive. Looking for a downtown Madison penthouse or lakefront condo to retire to? Prefer a charming cape cod on Madison's fashionable near West Side? What about a vintage bungalow on Madison's colorful near East Side? Madison is an ever-changing place with a long, rich history whose housing choices are still evolving. Rest assured we’ll listen to you, respect your time frame, and help you pinpoint Homes that fit your lifestyle!® That's right, we feel so strongly about it we trademarked it. 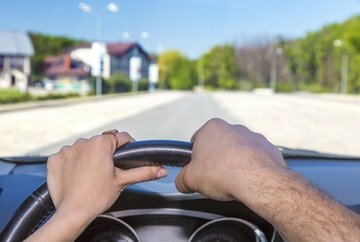 Although the task of choosing your next home for sale in Madison may seem daunting, especially if you’re not familiar with the Madison area, you’re in good hands with Lake & City Homes. We make searching a breeze and the buying process fun and enjoyable. So start searching the Madison MLS! And if you need anything, don’t hesitate to get in touch—we’re just a click or a phone call away. Ready to get your move on? Reach out to a Madison WI real estate specialist at Lake & City Homes today.